the other day i woke up sicker than i have been in years. i slept on the bathroom floor from 3-8 am just because i had to keep getting up so often. i made myself a nice little bed out of some blankets on the floor, & it really was so much easier.. even though our bedroom is right next to the bathroom. laying in bed resting between rushing to the bathroom & sleeping. & said goodbye to her real quick & then it got pretty bad again. i had thought that i was getting better, but apparently i wasn't cause i was still puking anything i put it my mouth, including water. 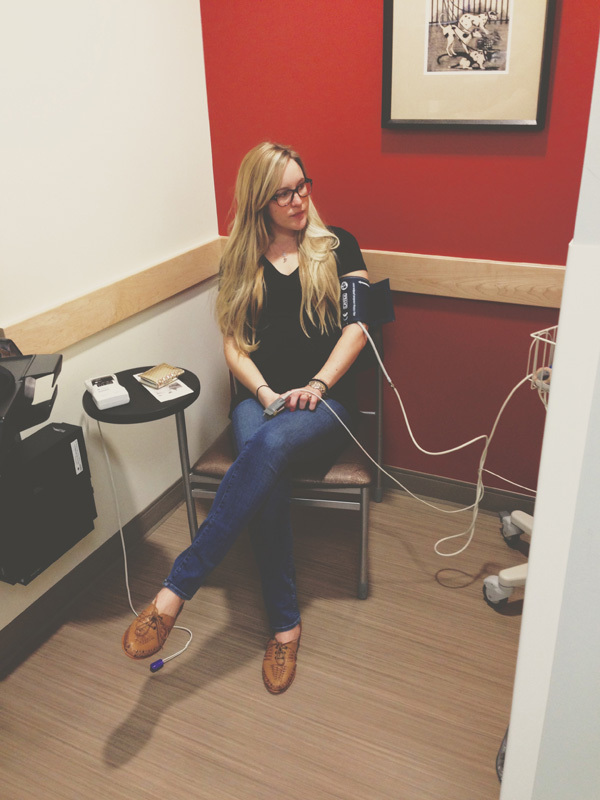 so we went to instacare, cause my ob office had closed, & i got tested & they said i was incredibly dehydrated. they gave me the prescription for the anti-nausea, & we went home. that night was a lot better & when i woke up i was feeling better, so i decided to have some toast so i could have something in my stomach & went to school. 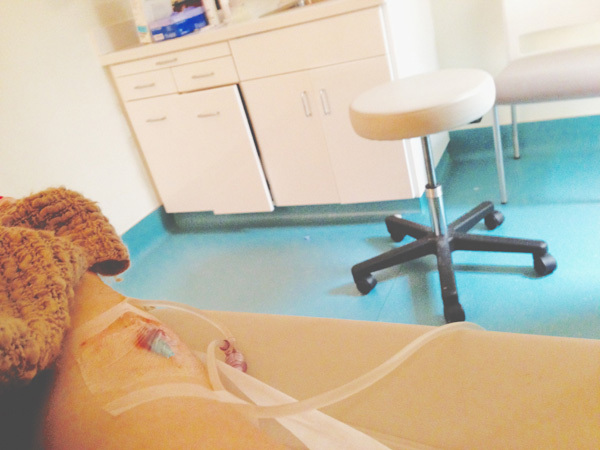 only to realize i wasn't quite better.. & i ended up going to my ob office & getting an iv. which definitely made me feel so, so much better. i've been good ever since too & i am very grateful to not be puking every 15 minutes now. it was a pretty rough 2 days, to say the least. & i am now especially grateful that up until this minor hiccup, i've had an easy, sick-free pregnancy. i don't know how others are able to handle having morning sickness, puking is like the death of me. not to be too dramatic! lucky for me i have a pretty cute husband who got to keep me company all day. 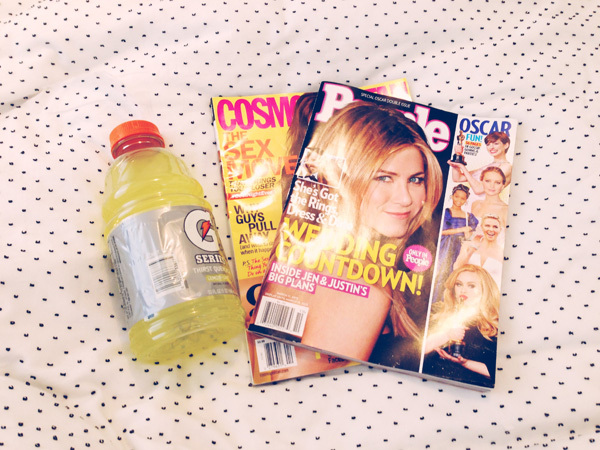 he ran out to get me some gatorade & came back with some new magazines for me to read, cause he knows how much i love my magazines, & just cuddled with me & took care of me all day. he's a sweetie. sounds awful! glad you are feeling better.